Do you know what? When you have big trees and grass in your front yard, some people think it is for them to park their cars. 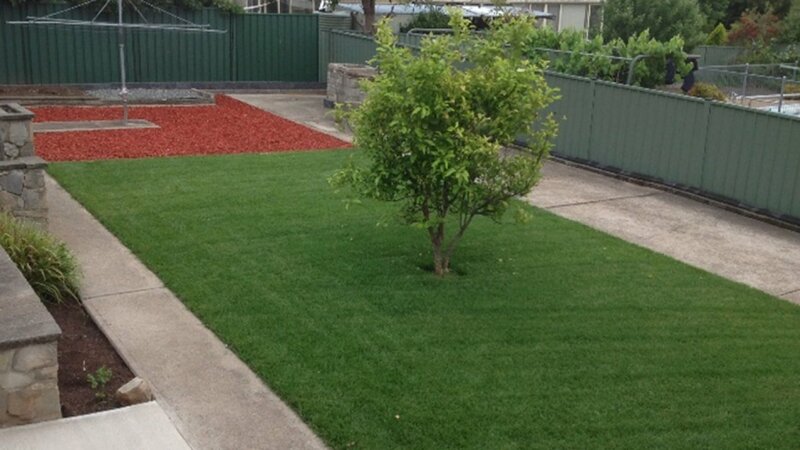 Well, in summer months, how do you feel, after you water and mow the grass, when you see big fat cars or utes parking under your trees and on your grass? As these vehicles are not driven by your neighbours, you cannot talk to the offenders, except by putting a note on their windscreen. I love grass and look after it well. So, this was one of requirement when I talked to Stace (Burgess Landscaping). I am very pleased with what Stace has done. He not only stopped people from parking on the grass, but also improved the whole yard by replacing the concrete driveways with pavers, concreting one side of the house, and rejuvenating the back yard. Stace, I like all your team members, especially your brother Shaun, he is a quiet worker.